Attenton Coupgon members! There is another freebie up for grabs! 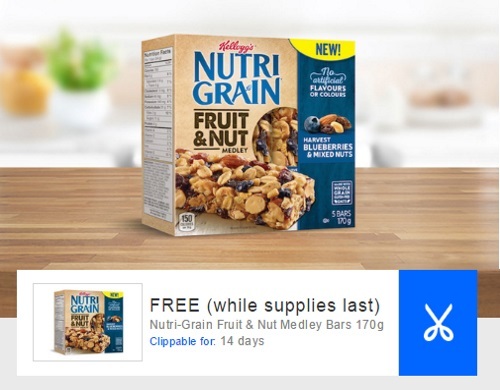 Get a Free box of NutriGrain Fruit & Nut Medley bars! This offer is valid on 170g boxes. Offer expires November 23, 2016 or while supplies last. Open up your Coupgon app to see if you got this offer. New coupgons are added every Thursday.